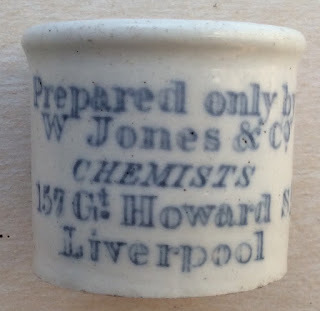 William Jones was first listed in 1868 in the Liverpool directory as chemists and druggists. 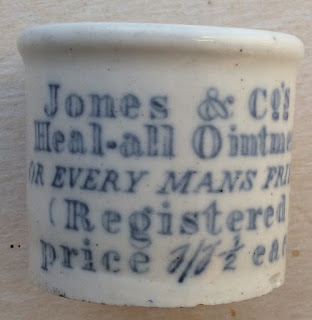 Eight years later, W. Jones & Co is listed and the company flourished with several shops being opened in the Liverpool area. The pot carries a blue colour transfer and is printed on both sides. Quite a desirable pot. book produced by Messrs. Houghton & Priestley, page 97.